Metro Crossing is a large condominium complex in Fremont. The community will consist of four different developments from the Toll Brothers: A 6-story mid-rise called Westbourne Park, and three 4-story complexes called Norwood Junction, Chancery Lane, and Russell Square. Metro Crossing will feature parks, a resident clubhouse with exercise facilities, a pool, spa, and a new elementary school. 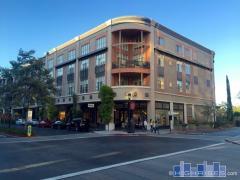 Metro Crossing is conveniently situated walking distance to the BART Warm Springs/South Fremont Station. Have any comments or questions about Metro Crossing? Ask your question and/or share your thoughts about this Building.